Environmental issues continue to divide opinion, sometimes in extreme ways. Almost everyone agrees that education has a role to play in ensuring the future of humanity on Earth. Some think we should all learn to leave a minimal environmental footprint; others argue that education should promote economic growth, because only growth can generate the capital needed to develop solutions to environmental problems. Advocates on each side often find the views of their opponents simply incredible, giving rise to accusations of bad faith or poor science. This book explores the foundations of the debate by examining human interrelations with Nature. It takes an educational perspective, but also draws on evidence from anthropology, economics, ecology, policy sciences and natural history. 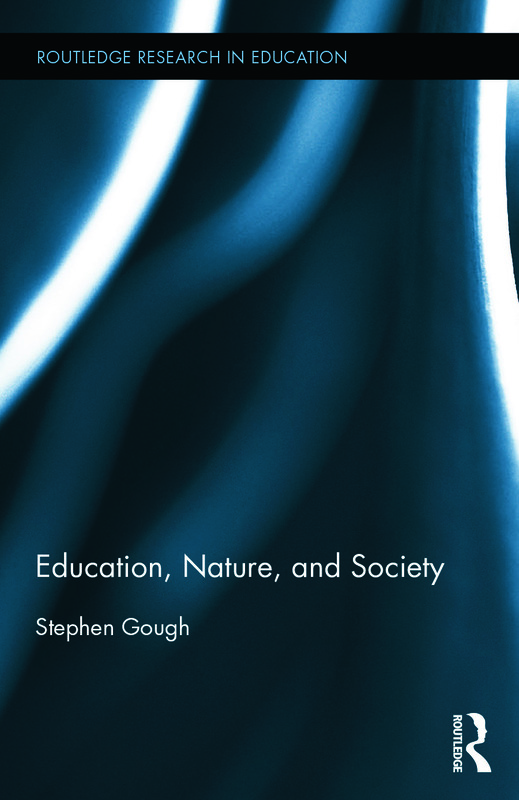 The case presented is that any coherent view of the purposes and potential of education requires a theory of human society in the natural world. For such a theory, education (and, more broadly, learning) must be more than an instrument for the achievement of personal or policy goals. Rather, it is an integral, continuing and necessary component of personal and policy development. On this basis, a novel approach to curriculum design and implementation is outlined. Stephen Gough is Head of Department and Director of Centre for Research in Education and the Environment (CREE) in the Department of Education at the University of Bath, UK.